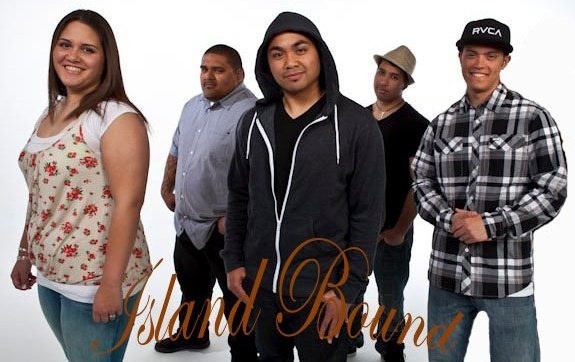 Get To Know "Island Bound"
Island Bound formed in 2006 by a group of friends who played just for fun at backyard parties. Then later offered an opportunity to play for our canoe clubs fundraiser called "Island Nights." We felt the crowd and they enjoyed our music! This is how Island Bound evolved. We are a band of seven who live in the Pacific Northwest residing in the Puget Sound area. We also have youth in our band so wehave alot of room to grow, ages varying from 19-23. Some of the featured artist that we cover variates from Bob Marley to Los Lonely Boys as well as our original music. We have opened performance for some record label bands such as Katchafire, Ekolu, Ten Feet, B E T, Anuhea, The Green, Ho'okoa, Koa'uka just to name a few. Today, our music is being played on pipeline2paradise.com radio as well as on Northwest Music Scene. Our song "Here to Stay" has been in the Top 7 most equested songs countdown since November and its still going strong today on Pipeline2Paradise Radio. It has peaked @ the #1 spot for 5 weeks straight. Here to Stay is also available for download via CdBaby, iTunes, Amazon, Napster, etc.